Constellation bears the same name as the famous frigate launched in 1797, which was broken up at the same time the sloop-of-war was being built. Before the Civil War, Constellation served as Flag Ship of the U.S. Africa Squadron patrolling the waters off of West Africa in search of ships carrying human cargo. She captured three slavers including the barque Cora and freed 705 Africans destined for slavery. At the outbreak of the Civil War, she made the first Union Navy capture at sea, overpowering Triton, a slaver brig sailing in coastal waters off Africa. She then spent two years on the Mediterranean station protecting American shipping from Confederate commerce raiders. 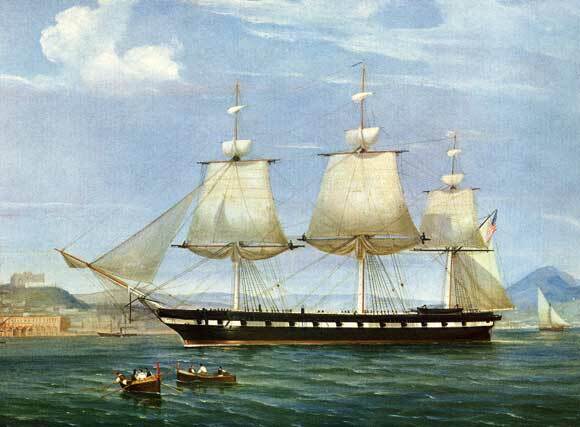 In 1864, Constellation reported for duty with Farragut's West Gulf Blockading Squadron. After the Union was restored, the sloop-of-war saw service as a practice ship for midshipmen at the United States Naval Academy, earning the nickname "Cradle of Admirals" as so many future high ranking naval officers trained aboard her during annual summer cruises. During this period the ship's special duties included carrying precious American works of art to the Paris Exposition in 1878 and carrying famine relief stores to Ireland in 1880. From 1894 to 1933, Constellation served as a stationary training ship at the United States Naval Training Station, Newport, Rhode Island. During World War II, she served as relief flagship for the Admiral of the Atlantic Fleet. USS Constellation is the last Civil War era naval vessel still afloat and the last all sail warship built by the U.S. Navy. 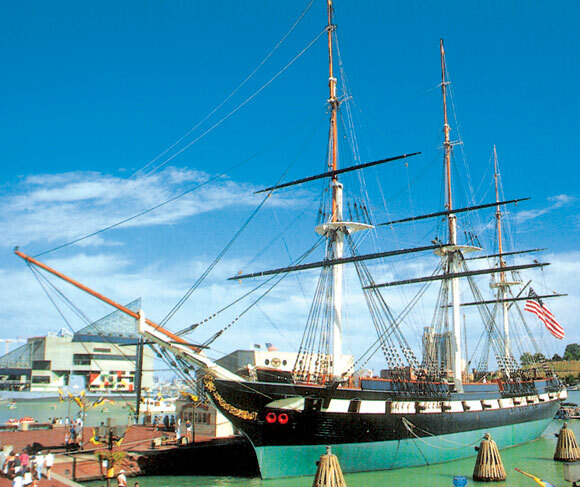 Since 1955, the ship has been preserved as a museum in Baltimore's Inner Harbor. A nine million dollar restoration project, completed in 1999, returned the ship's exterior to its 1860s configuration. Now, with all four decks open for exploration, visitors can enjoy a completely restored captain's cabin, sick bay, and wardroom in addition to engaging in hands-on demonstrations that take them back in time to a life at sea during the Civil War.